China has opted-out from the first stage of a UN programme to offset the aviation industry’s greenhouse gas emissions, in what could be a significant blow to global efforts to tackle climate change. It was reported by media at the time – and industry analysts since – that China would participate from the beginning. A cached version of the ICAO website from January this year lists China as a participant. But now China, the world’s biggest CO2 emitter, is no longer listed among the states participating in the first voluntary phase of the deal on the ICAO’s website. A Chinese delegate has since expressed anger that they were ever listed as participants and said a decision has not yet been made. Speaking to Unearthed an ICAO spokesperson stated that: “China clarified its participation position in the ICAO Council Chamber when the CORSIA SARPs were adopted,” which took place a week ago. ICAO did not provide further comment. Experts had long cast doubt on whether China would participate in the agreement but the move could be seen as a major set-back. China is responsible for around 12% of international aviation activity and attention will now turn to whether China remains on the sidelines. Experts said the move could be a negotiating tactic. Tim Johnson, director of the Aviation Environment Federation, told Unearthed: “It would be obviously worrying if this turns out to be a permanent decision to withdraw as China’s emissions are significant. Unearthed understands that China has previously objected to the amount of influence that member states have over which environmental projects will be eligible for the credits that will be used to offset emissions. It is thought that China wants its domestic projects to be included. It is not yet clear if China will withdraw from the later stages of the agreement or the reporting requirements that commence next year. Aviation, like shipping, is not included in the landmark Paris Agreement, but it is responsible for 2% of global carbon emissions, but when other greenhouse gases are taken into account, it could be significantly higher. If it grows as the industry predicts it will, then aviation could consume more than a quarter of the world’s carbon budget to keep temperature rise within 1.5C by 2050. 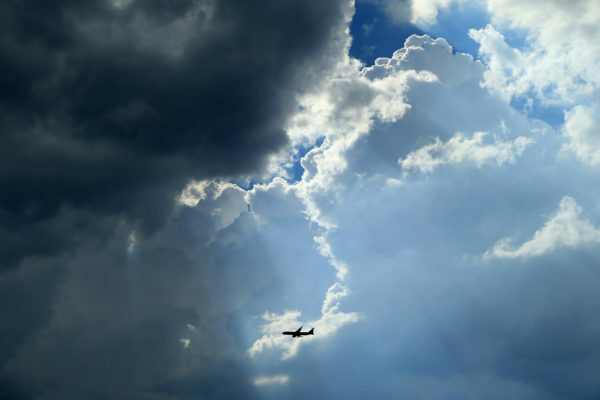 The Carbon Offsetting and Reduction Scheme for International Aviation (CORSIA) was designed to tackle this by requiring airlines to offset their emissions by funding carbon reduction projects in other sectors. From 2020, it aims to offset global aviation emissions by 80% until 2035. Although ICAO lauded the deal as “historic” when it was agreed in 2016, key decisions have been delayed and it has been beset by criticism from environmentalists who believe offsetting is not a long-term solution and could be used to justify airport expansion. Some experts emphasise that emissions can be cut from the aviation industry through other means. China is legally permitted to withdraw from the first phase which begins in 2021. Currently 72 states are now signed up for this stage, covering 76% of international aviation activity, down from 88% with China’s inclusion. It is not clear whether China will participate in the later phases from 2024 and 2027 onwards, but as the scheme is voluntary until 2027, China could rejoin at a later date. China has not officially confirmed its withdrawal.